When additional clearance is needed, Max-Guard folding security gates can be manufactured with an optional Hinge Option. This allows the stacked gate to Hinge In or Hinge Out up to 180 degrees. 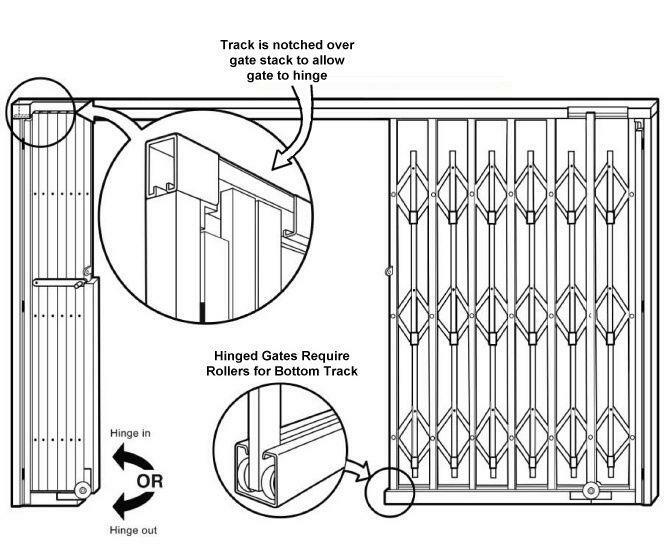 Due to size and weight restrictions, the Hinge Feature is available on limited gate sizes. Please check with your representative for your specific needs.